The year was 2013. Gabby was a high school freshman at North Penn High School in Pennsylvania. At school, she supported friends who were wrestling with very real mental health challenges — including depression, suicidal thoughts, and self-harm. Her friendship made a difference in their lives, they said, and her support helped them with their struggles. Like many teens, Gabby was also an active participant in social media. Music was, and is, a big force in her life, and she was active on many sites that featured musical artists that were important to her. Everywhere on these sites — especially on Twitter — she couldn’t help but notice people who were feeling very much alone in painful journeys with mental health issues. 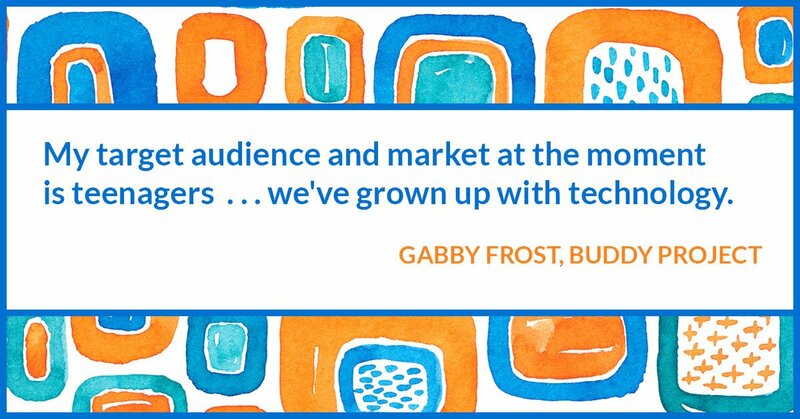 One evening, Gabby decided to marry her heart and technology and started Buddy Project. It’s a stunningly simple and effective idea that has ended up helping over 100,000 young people who no longer have to feel quite so alone as they wrestle with depression or other mental health challenges. Buddy Project works by pairing two people who have mutual interests, so that they’ll have a friend to talk to if they’re ever feeling lonely or sad or ever feel the need to harm themselves in any way. Buddy Project tweets quotes, pictures, and other motivational things so that people can find that strength inside of them to live a more positive life. 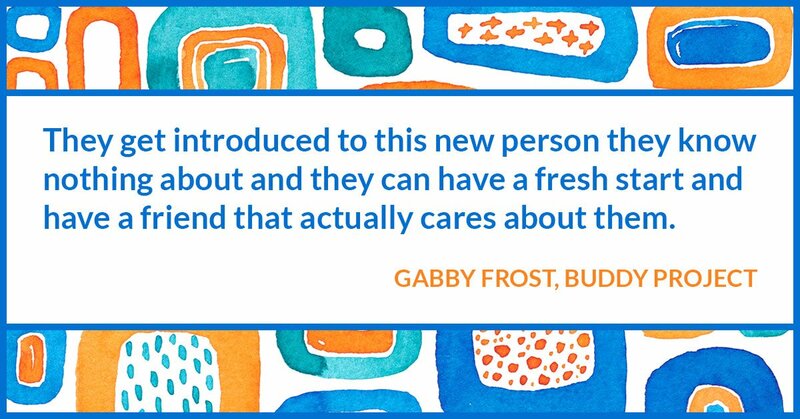 Buddy Project is the first non-profit organization to use social media to pair people as buddies. It is open to all teens and young adults, (ages 13-25) – regardless of anyone’s mental health, gender identity, sexual orientation, race, religion, and socioeconomic status. The site makes clear that Buddy Program is not an alternative to therapy or counseling. It exists, quite simply, for anyone who just wants a friend. It was a success from the start (3,000 followers on the first day in 2013!) and since its inception, over 139,000 people have signed up to receive a buddy. Two years ago, Gabby was honored at the Shorty Awards (a.k.a. the Oscars of Social Media) after receiving the most community nominations and then being chosen by the Real-Time Academy of Short Form Arts & Sciences. Gabby is now 18 and will be attending Drexel University starting Fall 2016 to major in Music Industry and minor in Business and Psychology. Her vision for Buddy Project is still strong and focused, and it was a treat speaking with her. Glenn Holsten: How do you describe Buddy Project to someone who hasn’t been to your site? How does it work? What’s the concept behind it? Gabby Frost: It’s basically pen-pals but over the Internet. The way it pairs people is that they have to put their first name and then their Twitter user name and then they pick an interest that they want to share with their buddy. They also pick a backup interest in case the first one doesn’t have enough people. Then they put their age so I can pair them with someone that’s around the same age. When I post the pairings I tell people like, “Oh yeah, I’m going to update at this time so make sure you check them.” On the website there’s a search engine so they can find their buddy. After that, they can tweet their buddy and be like, “Hey, we’re buddies.” Then, try to start talking from there. Glenn Holsten: It sounds like a really, really simple but good use of all this technology that is now available to us. It also sounds very clever. What has pleased you about it and what has surprised you about it? Gabby Frost: In the beginning I was definitely surprised on the first day that I launched it. I really expected it to be kind of like something I did on the side in my spare time but on the first day, close to three thousand people signed up and followed it on Twitter. Glenn Holsten: Holy cow! Really? How did they find out about it? 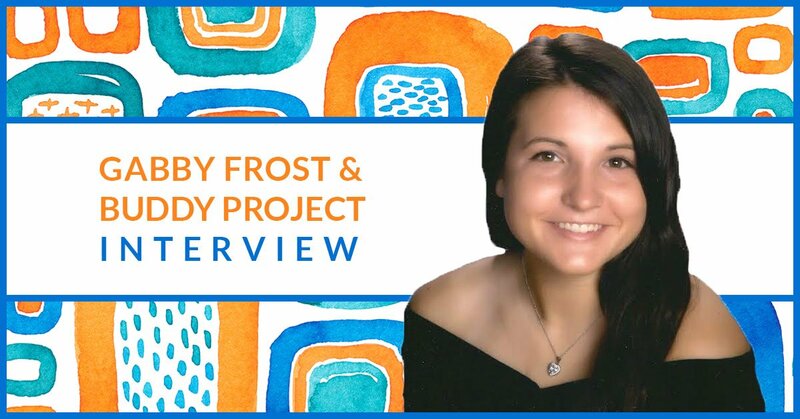 Gabby Frost: Well, on my regular Twitter account — not the Buddy Project one — I used to have a lot of followers, I mean I still have a couple thousand but I used to have more back then because I would follow more people and I really advertised it on there. I was like, “Yeah, join Buddy Project.” I guess that’s what happened, it just got word from there and people spread the word and everything. Getting that many followers on the first day definitely told me that it was something that I had to actually make into something big eventually because people wanted it, and it’s really helped them out. Glenn Holsten: Yeah, it really seems like you tapped into a need. Gabby Frost: Something that has made me happy from it is just seeing all the people that I’ve impacted and everything and it’s amazing to know that some idea that I thought of in the middle of the night when I was fifteen is now turning into a nonprofit and I have over a hundred thousand people that signed up and almost a hundred thousand followers. 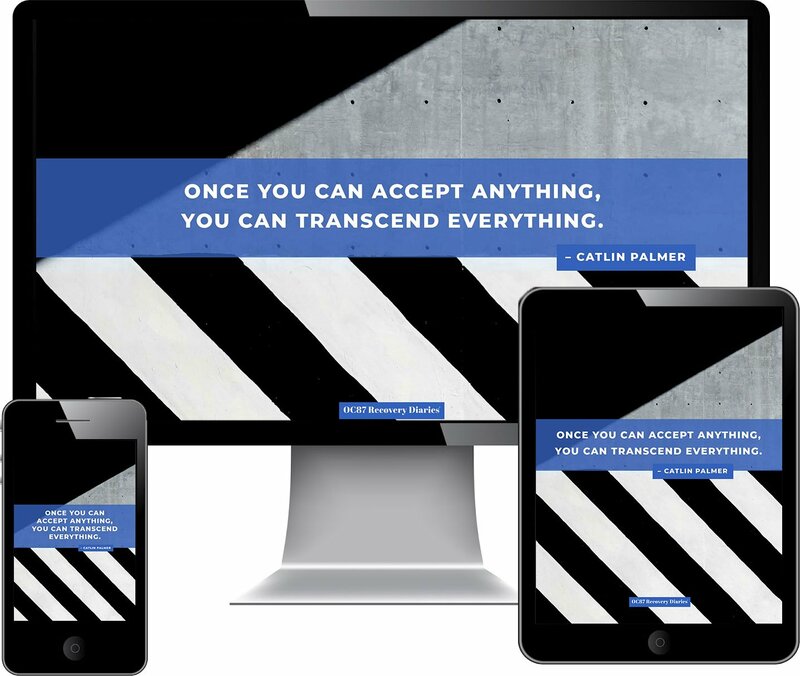 It’s just nice to know that one small idea I had turned into something this big. Glenn Holsten: Why do you think it was so successful? Gabby Frost: My target audience and market at the moment is teenagers, so I feel like teenagers, we’ve grown up with technology. Basically when we were little we had all the 90’s kids stuff like VCRs and all the stuff without wi-fi, but as we were growing up, it’s like technology kind of grew up with us. I feel like we’re the best at knowing what to do with technology and we know how to be safe. I remember when I first started going on the internet and like, ten years ago, my parents would be like, “Oh be careful, don’t talk to strangers.” Now it’s like, ten years later, there are social media sites that are based off of meeting strangers and everything. 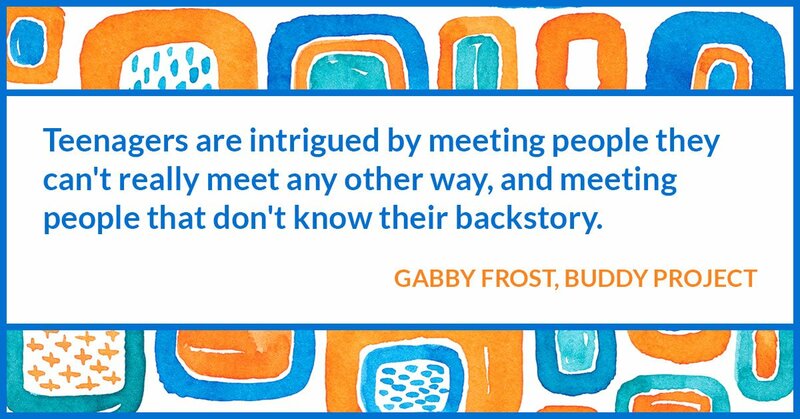 It just shows that teenagers are intrigued by meeting people they can’t really meet any other way, and meeting people that don’t know their backstory, I guess. Because I feel like that’s the problem for people making friends at school, it’s like, they have all these preconceived judgments that you hear from other people and everything like that. But on the Internet they don’t really have that. They get introduced to this new person they know nothing about and they can have a fresh start and have a friend that actually cares about them. Glenn Holsten: What about the fact that it gives a safe place for people to talk about things that kind of are taboo or stigmatized a little bit? Gabby Frost: Yeah, definitely with my Twitter, it helps. I’ve encouraged people to seek out and tell their family or friends if they’re feeling a certain way. I’m just trying to help people speak about mental health whether they have a mental illness or not, just to be a voice for that so that people that do go through those issues can not feel such a stigma with that and just get help that they need to. Glenn Holsten: What’s happening to the project now? What’s going to happen? You’re going to go to college and you’re going to be busy and you’re going to have lots of other things to do. What would you like to see happen to the site and to the 501(c)(3) non-profit status? Gabby Frost: Well, I definitely, I know I’ll probably have enough time still in college to work on it and I definitely want there to be, I want it to be it’s own social networking site so that people don’t necessarily have to have a Twitter to sign up. I just want it to be easier for people to kind of access the whole Buddy thing. Definitely want to hold some events to raise money. Glenn Holsten: What would the money be used for? Is it to get staff or something? Gabby Frost: I would use the money towards local mental health facilities and … And also mental health research organizations or suicide research. The American Foundation for Suicide Prevention, they do a lot of important research and they’d definitely be an organization we’d probably donate to. I want to give back to groups that have more of the research-based part of mental health where they do actual therapy and treatment and stuff like that. Glenn Holsten: That sounds fantastic. What a great use of everybody’s time and energy. What would you like to see changing in the mental health landscape for teenagers? Where do you think is the biggest improvement needed? 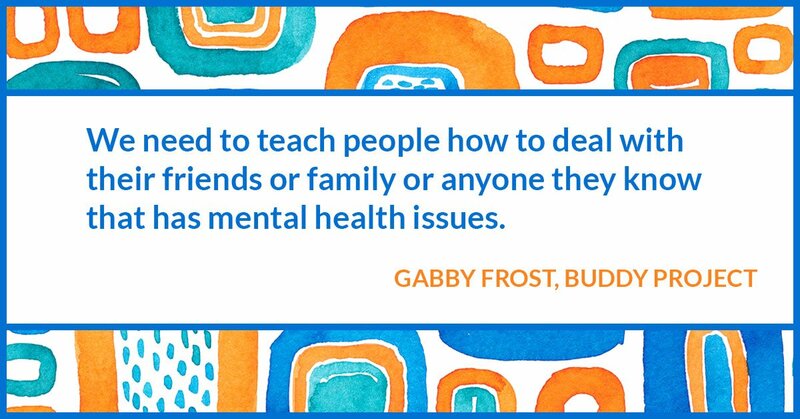 Gabby Frost: I guess I feel like the biggest improvement is we need to teach people how to deal with their friends or family or anyone they know that has mental health issues because I feel like everyone — not just teens — is not prepared on how to deal with those problems. If someone tells them that they’re suicidal, they just don’t know how to react and they don’t know how to properly deal with the situation. If we had kids get educated in school more about mental health and how to respond to situations like that and teach parents how to react to their kid feeling that way or other family members, I feel like that would help a lot. It would get rid of the stigma if we don’t make it seem so scary, when people are going through things like that. Because I feel like a lot of the times, people with mental illness get anxious with the whole situation. Glenn Holsten: What has this whole adventure taught you about yourself? Gabby Frost: It’s definitely taught me how to be a better person. I remember when I first made it, I was nice, but I still had some qualities about myself I needed to improve. Running this really made me realize my own faults and it taught me to be a better person. It also taught me very valuable qualities that I probably wouldn’t have learned from anywhere else. Glenn Holsten: Yeah. I mean, I think your point earlier about one idea, one voice making a big difference is very impressive. All right. What are you going to be studying in college? Gabby Frost: I’m going to be majoring in the music industry. Glenn Holsten:What kind of music do you like? Glenn Holsten: Some way down the road, and this is the parent in me coming out, there might be a way to blend your experiences. Because music is a really powerful way of bringing people together and if you have a strong message, like fighting a stigma, there might be some great combination of those two energies down the road. Gabby Frost: Yeah, definitely. I know that with my program that the number one connection between buddies is music. Glenn Holsten: Well, It’s a phenomenal thing you’ve done and I really want to thank you for your little idea and your big effort because I think you’re making a difference in a lot of people’s lives and I think that’s just a great way to be in the world. 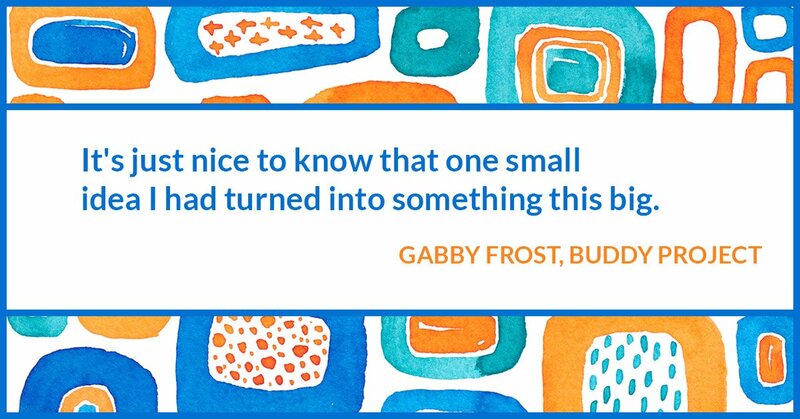 Gabby Frost: Well, thank you! Visit buddy-project.org to learn more. "My medicine is my music. When it gets too bad, I've got to sit down and do my music." – Deidre Young a.k.a. H-Town Butta, creator of the song "Bipolar-ish."